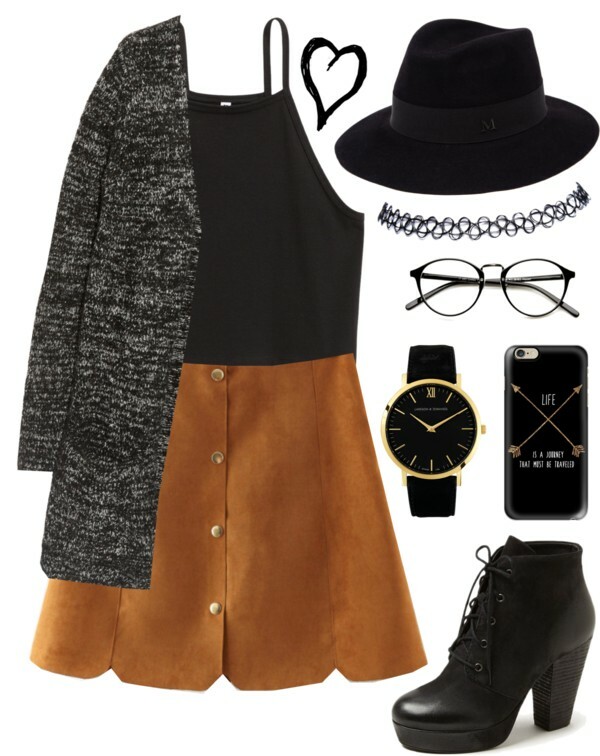 This style is a laid back look with an oversized knitted cardigan, glasses, and a fedora. The outfit’s main look with the mustard suede skirt with a black cropped tank top tucked in and heeled boots, with accessories including a chocker, and black and gold watch and phone case. This look is perfect for a laid back study day.